The announcement will come from the White House at 3 p.m. on Saturday. President Donald Trump tweeted Friday evening that he will be making a "major announcement" relating to the government shutdown and the United States’ southern border with Mexico on Saturday at 3 p.m. from the White House. The announcement comes as the longest government shutdown in U.S. history approaches a month in length. (Evan Vucci/AP) President Donald Trump speaks during a cabinet meeting at the White House in Washington. Asked in a conversation with reporters at the White House Friday evening if the announcement related to declaring a national emergency to use funds to construct a border wall, White House press secretary Sarah Huckabee Sanders declined to specify what exactly the announcement would entail. 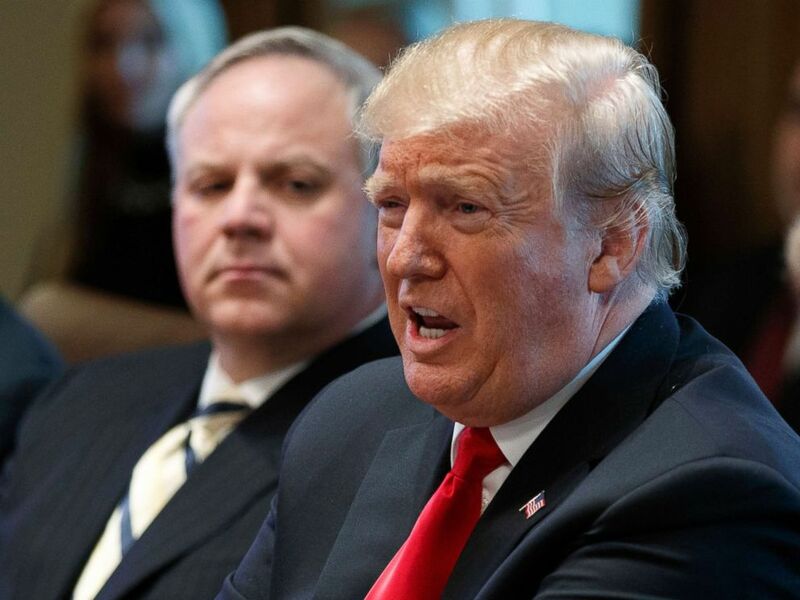 The president's promised announcement comes amid an acrimonious back-and-forth with Democratic leaders over the protracted government shutdown and funding over his long-desired border wall. The bitter words continued Friday. House Speaker Nancy Pelosi, whose official trip overseas on a military aircraft was abruptly blocked Thursday by Trump, accused the president and his administration of leaking her plans to possibly fly commercially instead and endangering lives as a result. Meanwhile, hundreds of furloughed federal workers waited on Friday to get free food at a pop-up kitchen on Pennsylvania Avenue -- not far from the White House and Capitol -- on day 28 of the government shutdown. A similar scene played out in cities such as Atlanta, San Francisco and New Haven, Connecticut.